You want to break out of public schools. How do you enter the homeschool market? Helping Homeschool organizations obtain non-profit status. Carol Topp has several articles about managing growing groups, mission statements, budgeting, by laws, applying for 501c3 tax exempt status, etc. As a homeschooling mother and Certified Public Accountant (CPA) she is blending her skills, education and experience to help other homeschoolers manage their organizations. School is optional: Ken Danford at TEDxAmherstCollege. NorthStar and self-directed learning. 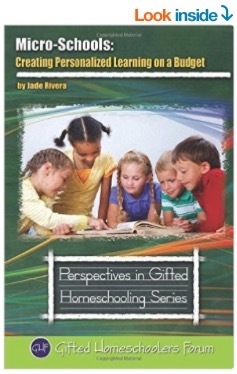 Does anyone know of a book or any online resources to help start a homeschool cooperative? Also, for those who have already started a coop, or maybe just attend one, what recommendations would you have for first-timers trying to get this thing off the ground? These learning centres are cooperatively organised by the member families they serve with parents pooling their talents, resources and expertise. By Anna Jahns, Kindred Magazine. A democratic school, as the term is used on this site, is a school where students are trusted to take responsibility for their own lives and learning, and for the school community. At such a school, students choose their own activities and associate with whom they please. If courses are offered, students are always free to take them or not. Mom Schools are where a mom sees that her kids need something, so she sets it up, offers it, and invites others. Oregon. Ann Lahrson-Fisher describes two model cottage schools or expanded homeschool programs that could be duplicated by parents interested in having a little “dame school” in their home. Traditional and online classes for homeschoolers and homeschooling parents. Classes offered in Monrovia, CA and Online. All major core subjects are covered, including English through college entrance level and math through calculus. California. Christian resource center offering classes and educational resources on a scheduled or drop-in basis. BLC’s Hybrid Homeschooling model operates both as an educational support structure and sorely needed social community for gifted students. We are currently focusing our geographical attention on areas in and near Oakland, Alameda and Berkeley, but we also have Community partners in San Leandro, San Francisco, San Jose and Silicon Valley. Pinole. Our focus is on socio-emotional development that supports both cognitive and creative growth. Students and teachers are continually engaged in a passionate, reciprocal learning process. Our academic work is inquiry-based, dynamic, and follows student interests. Our intention is to enhance home-based education for children in pre-K to 5th grade and inspire self-directed, lifelong learning in now in Scotts Valley. Offers support to families homeschooling through Green Valley Christian School in Watsonville, California. Educating your children at home is not a job for the faint of heart, but it might just be the most rewarding job you’ve ever had. With the Lord’s guidance, we are here to help. Founded as a cooperative effort of local homeschooling parents. These parents recognized the need for a centralized place for high-quality enrichment classes and community-building opportunities. Los Angeles. A humanistic educational environment that is developmentally appropriate for each age group. Our curriculum is organic, child-initiated, and primarily experiential. A child’s inherent desire to learn is acknowledged and facilitated, not forced or squelched. We are a non profit group of homeschoolers in San Diego. We offer a free monthly e-zine and we are building an online catalogue of teachers, tutors, clubs and classes in the San Diego area. We want to open a facility with a lending library and space for all homeschoolers to share and learn together. The Family Education Resources program works directly with homeschooling families to provide support and resources that can help children excel in their primary and secondary education, especially by offering classes and group activities to supplement individual curriculum. Based out of Ignacio and Bayfield, CO.
Maitland in Central Florida. Homeschool classes. Private tutoring, homework help, and FLVS assistance. Field trips for all. Social events. Pulse Education is a new resource for Central Florida homeschoolers. Located in Kennesaw, Cobb County, GA. The mission of HEArts is to offer quality instruction in subjects challenging to teach at home with competent, professional teachers in a Christ-centered environment, thereby affirming parents in their God-given roles and responsibilities. A curriculum bookstore and activity center in Alpharetta, GA, owned and operated by a local homeschooling family. Louisville, Kentucky. Classes for home schooled youth (ages 9-12). For adults, class offerings include creative writing, Shakespeare, poetry, and local history. Parents will find The One Room Schoolhouse a great site for field trip opportunities and a consignment connection for teaching materials and resources. Slidell, Broussard, and Baton Rouge, LA. We have a consignment bookstore for your used homeschool curriculum and other educational materials, as well as co-op classes, workshops, and high school assistance. Assists homeschooling families with the education of their children. Offers classes and tutoring for pre-kindergarteners through seniors in high school. Hadley, MA. North Star students leave school. They embark upon non-compulsory, community-based, self-directed learning programs that include a variety of activities. A diverse and vibrant community of students, parents, teachers, and friends who are changing the face of homeschooling. We’re not affiliated with any one homeschool group, but open to members of all homeschool groups. We are a group of home educators of all faiths, beliefs, and theories who want a non-judgmental and accepting environment in which our children receive high quality, challenging classes taught by experts. A secular coop, is a vibrant and welcoming learning community for homeschooling families with students ages 10 through high school. We offer a wide selection of courses led by teachers who are passionate about their craft and actively engaged in their field. Grace Center for Community Life, 1500 6th Street NE, Minneapolis. Albany, NY. Truth be told, we are a community far more than a school – a safe, nurturing, open space where daily fifty-five kids ages two through fourteen, eight full-time teachers, a cook, a steady stream of interns, volunteers and visitors, as well as myriad goats, chickens, rabbits, pet rats, lizards and goldfish work, play, learn and eat together. This volunteer-driven, staff-supported educational program is designed to stay flexible and adaptable in providing resources and opportunities. Princeton NJ. Supports teens to live and learn without school. We serve both longtime homeschoolers as well as teens who choose to leave school (and thus become homeschoolers). School governance is collaborative and participatory; each member of the community, regardless of age or role, has an equal say in the consensus decision-making process and running of the school. Located in Montclair, NJ. Beaverton, OR. Designed and managed by homeschooling families as a private alternative education program, our resource center enhances and supports home-based education through tuition-free courses, field trips, and experiential learning opportunities, community meeting space, library and material loans, and access to technology. Grapevine, TX. A Tuesday/Thursday private part-time Christian School that provides a small-group learning environment that supports a student’s home-centered education. Gracewood Academy’s core subjects are History, Science, Language Arts and Math. We also incorporate Art and Music into each week. Our class content and efforts are Christ-Centered. Round Rock. We are a nontraditional private school/co-op hybrid offering part-time school enrollment near Austin. You can enroll your child part-time in order to take advantage of our exceptional programs, such as accelerated math, science, debate, and our trademarked dragon-themed Latin courses. Formerly known as Richmond Enrichment Studio. We have moved to a new first-floor location at Robious Station Circle, right next to the Goddard School. The new space is beautiful, spacious, and has more classrooms so we may further expand our schedule to suit your needs. 2331A Robious Station Circle, Midlothian, VA 23113. Phone: 804-419-4460. A progressive, independent school, in Woodinville, WA. The Attic operates a developmental, multiage, child-centered learning community for children ages 5 through 18. At Seattle’s Sudbury School, children are always busy learning without the enticements of gold stars, without the requirements of pre-set curriculums, and without the pressure of constant evaluation. We have a Co-op which meets once a week and offers a variety of classes that enhance the core education the students receive at home. We also organize a variety of nationally sanctioned academic competitions and teams such as Science Bowl, National Geographic Bee, Word Power Challenge and Science Olympiad. City of Washougal in East Clark County. Offers a one day a week program for homeschoolers ages seven to twelve. The curriculum integrates arts, music, social studies, and ecology into a solid core of language arts. Through a mix of writing, art projects, stories, singing, creative play, and outdoor exploration, students will receive a firm foundation in creative writing, grammar, literature, and mythology. Located in Madison Valley, Seattle, WA. Seattle. An independent school for 9 – 18 year olds. PSCS helps develop capable, committed, compassionate young people from the inside out. There is no monolithic definition of democratic education or democratic schools. But what we mean here is “education in which young people have the freedom to organize their daily activities, and in which there is equality and democratic decision-making among young people and adults,” as quoted from AERO’s Directory of Democratic Education. KidLead Inc. is the name of a non-profit organization, founded by Dr. Alan E. Nelson, to offer his work in developing young leaders with other non-profits (i.e. schools, faith communities). KidLead offers people and organizations that believe in young leader development, an opportunity to donate their resources for the common good of others. Recommended for co-op instructors, cottage school directors, and large support groups looking for a program to base activities around for this age group. Potentially useful to homeschool parents who want to start up their own “school” for homeschoolers or want to qualify to help fellow homeschoolers in states that require a “teacher” to oversee homeschools.